MASS Engines helps Samsung increase funnel conversions and grow revenue by mapping lead journey. channel, but Samsung had limited visibility into campaign outcomes. This made it difficult to make data-driven improvements. “We were not getting the results we wanted, but lacked the data to explain why. We needed more information, beyond just opens and clicks.”, explained Madeleine Thom, Senior Manager, Demand Gen & Marketing. working and what was not. “MASS Engines’ evaluation made it clear that changes had to be made in order to achieve our goal of increasing topline revenue by identifying the most profitable marketing investments. We needed to be able to accurately track and report every lead that enters the funnel as a result of a marketing investment,” said Thom. identify key areas for improvement and establish a plan for how to measure KPIs, including conversion ratio, funnel velocity, revenue attribution as well as the impact of content on pipeline and funnel. To understand the needs and requirements of marketing and sales, MASS Engines conducted a lead flow assessment. Insights into how leads flow through the funnel resulted in a blueprint to better enable sales and marketing by enhancing the role of marketing operations within Samsung. MASS Engines determined what reporting was needed to improve lead management throughout the funnel. MASS worked with Samsung’s internal staff as well as many agency partners (e.g., advertising, paid media, social, digital, nurture, email) – about 50 stakeholders from key teams. MASS Engines was able to get everyone on the same page, align them around common objectives then build the reporting capabilities that were needed to optimize campaigns and measure ROI. MASS Engines designed and developed attribution reporting that stopped the leakage between Eloqua and Salesforce. With the attribution reporting put in place by MASS Engines, every MQL is trackable through the funnel with details such as date in each stage, who touched it, what actions were required and what happened. 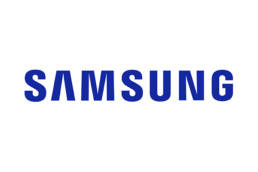 Samsung now has a fully accountable system that tracks every MQL that marketing generates. We have data about conversion at each stage in funnel as well as velocity, so we can see how much revenue is attributed to marketing spend. “MASS Engines’ process was very thorough. Each part was well documented to clearly highlight findings and recommendations,” said Thom. Samsung’s work with MASS Engines to deploy the lead management framework has radically improved funnel conversions. Junk leads were cut resulting in a 60% reduction in MQLs, while Opportunities went up by 10%. Sales rejected leads were reduced by 67%. Lead velocity was radically increased, cutting mean days in MQL status by 91%, mean days in SAL status by 90%, and mean days in Opportunity stage by 88%. These improvements resulted in a 183% jump in Marketing contribution to pipeline, and a 60% jump in Marketing contribution to revenue. MASS Engines continues to work with the team on conversion optimization, including reclaiming leads that were lost in the funnel. This not only eliminates system and process inefficiencies, but also generates revenue.